Global real estate firm CBRE announced that it agreed to collaborate with Johannesburg-based Excellerate Property Services to form a joint venture named CBRE Excellerate in Africa and the Middle East. It will help the company capitalize on the increasing demand for superior real estate services in the region, reported Zacks. Cushman & Wakefield announced it has entered a definitive agreement to acquire Quality Solutions, Inc. (“QSI”), one of the nation’s top facilities management firms specializing in on-demand facility maintenance and project management services through a national network of facilities contractors. According to Seeking Alpha, the acquisition will expand Cushman & Wakefield’s facilities management capabilities and coverage across North American markets by leveraging QSI’s strong supply chain of 50,000+ qualified suppliers and 75+ facilities trades. Toronto-based Colliers International Group Inc., a global leader in commercial real estate services and investment management, announced that effective January 1, 2019, Dylan Taylor will become CEO of Colliers Real Estate Services focusing exclusively on the growth, operational effectiveness and client service opportunities in the Company’s rapidly growing real estate services segment. Globe News Wire reported that Jay Hennick, Global Chairman and CEO will continue to be responsible for overall strategy and execution across all the Company’s businesses including its recently established platform in investment management. Microsoft AI exec joins real estate tech company Compass, reports Geek Wire. Compass competes in the field of companies looking to simplify the home buying and selling processes, including Seattle heavyweights Zillow and Redfin. Compass has raised more than $1.2 billion, and entered the Seattle market earlier this year. Keller Williams, the largest real estate franchise in the world by agent count, is the only company in the real estate industry to rank among the best companies to work for by Glassdoor research, reported USA Today. The Austin-based real estate company scored 4.1 out of a maximum of 5. Eighty percent of employee respondents said they would recommend working for the company. WeWork, local partner buy DC office building for $137M, according to The Real Deal. Meanwhile, Tech Crunch is reporting that a company executive said China will be one of WeWork’s fastest growing regions in 2019, and much of that boom will come from the rising number of enterprise clients. Truss, a leading marketplace for commercial real estate, is announced they are the winners of two Real Estate Tech Awards (#RETAS) in the Listing Marketplace and Tech-Enhanced Brokerage categories presented by CREtech (cretech.com), the leading event, content and connectivity platform for the commercial real estate industry. According to PR News, the #RETAS are the most prestigious award for tech startups and founders. 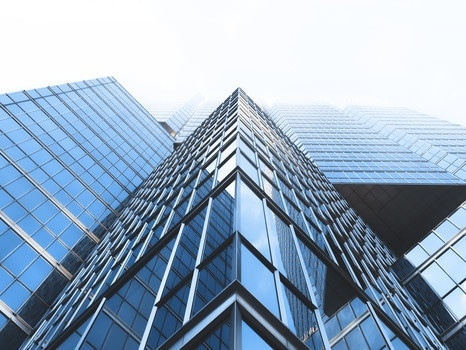 For the past five years, CREtech has used the #RETAS to recognize the most innovative and cutting edge companies who have played an integral role in advancing tech in the real estate industry throughout the year.